SPLENDA has just come out with a new No Calorie Sweetener with Fiber. They are offering a free sample of 2 packets for you to give it a try. Click here to enter your mailing info. Lots more Wordless Wednesday's can be seen here. The holidays are coming to a close...so that usually means lots and lots of pictures have been taken over the past week or so. Perhaps you want to create a Photo Book of this holiday season to keep all the great memories in one place? Right now ArtsCow is offering all new customers an 8"x 8" 20 page Photo Book for just $6.99. Plus it ships for FREE!! Simply enter PBS699 at checkout for this great deal!! Plus as a new ArtsCow customer you can also take advantage of 1200 free prints (Glossy or Matte). That's 600 4"x6" prints and 600 5"x7" prints. Check out all the details here. Perhaps You Are in Need of a New Pair of Shoes??? Just in case one of kiddies (or yourself, perhaps) needs a new pair of shoes to get thru to the nice spring sandal weather..........here is a printable 15% off coupon good at Payless Shoes Brick N Mortar stores. Need a pair for yourself? They have select styles at up to 40% off right now in the Women's department. Also be sure to check out the sale sections in every department for deals as well. Shopping online instead? Use coupon code 26323 at checkout to save $10 off your order of $60 or more. Your order of $60 or more also qualifies for free shipping as well!! Coupons are vaild thru January 12th, 2009. Sign up here for a free sample of Total Cranberry Crunch Cereal. Lightly sweetened whole grain wheat flakes with crunchy oat clusters, plus real chewy cranberries....and 11 important vitamins and minerals too!! Free sample of Orville Redenbacher's Natural Gourmet Popping Corn here. Wholesome grain goodness with only natural ingredients!! -Eggo Frozen Pancakes, French Toast, Muffin Tops, Minis, or Swirls(12.7 to 16.4 oz. package) 2 for $3.00 (Limit 4 per variety) *8Use the .75/1 coupon (doubles to $1.00)from the 12/14 Red Plum insert to pay just 49 Cents per package!! -Marcal 250 Count Napkins....$1.49 **Use the 1.00/1 Marcal coupon from the 12/7 SmartSource insert to pay just 49 Cents for the bag!! -Tyson Boneless Chicken Breast....1/2 Price at $1.99 a lb. -1/2 Price Bread Sale.......Choose from Freihofer Split Top, Stohmann Dutch County, Arnold Whole Grain, or Thomas' Twin Pack English Muffins. -Shop Rite Cough and Flu Formula Medicines are also on sale this week.....Most between 30% to 50% off regular retail prices!! 'Tis the season for coughs and colds...at least in our neck of the woods!! Did I miss any great ShopRite buys this week....if so please leave a comment and let me know!! Just a few printables and freebie I came across...if you have any other good ones please let us know!! Just in case you would like to add another Holiday song to your personal collection...here is a Free Download of Silent Night sung by Sarah Brightman courtesy of Walmart. Is staying organized part of your plan for 2009? Thanks to NIAMS Click here for a free 2009 Pocket Planner With Tips and Resources for Healthy Bones for Life. Click here for a $1.00 off printable coupon for NEW 100 Calorie Little Debbie Cupcakes. Mmm. How about a nice soft, healthy foot? Why not take the The Kerasal Challenge? Click here for a free sample and money savings coupon to be on your way to a nice feet. Take 40% off ANY one regular priced item at Joann's Fabric & Crafts with this in-store printable coupon here or use code EED010 for online shopping. Coupon expires Saturday 1/10/09. This is a great time to stock up for upcoming birthdays, Mother's Day gifts, etc. They only have these great Semi-Annual sales twice a year....with the nest one months away!! Also if you have been to Bath & Body Works in the past few weeks....be sure to check the bottom of your register receipts....On all of mine there is a coupon for $10 off a $30 purchase. To make your deals that much sweeter!! If you are anything like our family, you just took a ton of pictures or so in the past few days!!! We'll now is the time to print them to share with family and friends!! Snapfish is offering a good deal on 4x6 prints. Order 75 prints by mail order for just $9.99 and that price includes shipping too!! Simply enter code GOPRINT at checkout to receive the discount. Not quite up to 75 good pictures to print yet? Not to worry this deal is good thru January 4th, 2009. So grab your camera and start snapping some pics!!! Target is having a Gift Giving Clearance Sale...going on now!! They have everything from Christmas decor all the way to toys and furniture marked down. Many items are discounted at 75% off!! You can check out all the Clearance deals online here. The shopping is done. The stocking are hung...and waiting patiently to be filled up with toys, surprises for the little ones. The Tree is brightly light up...with ornaments hanging from the branches. The cookies are baked, and the meal is about to be made. It's amazing that Christmas Day is almost here. The best part of Christmas...No hustling. No bustling. Just good old bonding and relaxing with friends and family!! Here is wishing you and your family a very Merry Christmas!! Enjoy your holiday!! 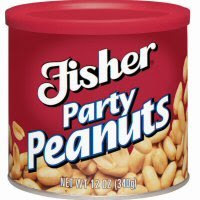 This week thru Saturday Shop Rite has Fisher Peanuts on sale for $1.74 each. Use the $1.00 off 1 coupon from the 12/14 SmartSource coupon insert to pay just 74 cents for a jar/can of peanuts. You can choose from the jar (14 oz) or the can (12 oz). Flavor wise choose from any variety Dry Roasted or Party Nuts. Free sample of of Don Francisco’s Breakfast Blend Coffee...click here to enter your mailing info!! Breakfast Blend is a bold roast that is roasted to let the coffee’s natural sugars caramelize to deliver smoky, caramely, dark chocolaty flavors. Kohl's has a bunch of Clearance in the ladies department right now....some items up to 90% off!! Plus, there are great coupon codes to save even more!! *For Kohl's Card holders Save 30% off your order by using code MY30OFF at checkout. This code expires tomorrow. *Shopping after 12/24 using your Kohl's Card? Then use code MVCSAVENOW expires 12/31/08. *Paying using another form of payment? Save 10% off by entering HOLIDAY8714 this code expires on 12/31/08. *Free Shipping?? Use code MVC1020 (expires 12/25) or MVC6535 (expires 12/28) to receive free shipping on your order too!! 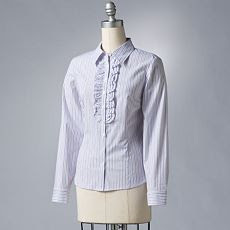 You can view all the Ladies Clearance items here. Plus, if you shop today or tomorrow.....You can earn Kohl's Cash!! For every $50 you spend you get back $10 in Kohl's Cash. Kohl's cash is valid 12/26/08 thru 1/3/09. Be on the look out for the little Toys R Us/Babies R Us Savings Pass Booklets by the registers if you are heading to Toys R Us over the next few days. The coupons inside are good for $5 off a $25 purchase or more, Save $20 on Guitar Hero for Wii, and a Free Gift Card with participating Diaper Box purchases. The coupons are valid from January 4th- January 17, 2009. Of course, these would of been great to have over the past few weeks of Christmas shopping, but who knows...you may just find yourself back to Toys R Us after the holidays making exchanges or returns!! Free sample of Hearts & Minds Peanut Butter here. 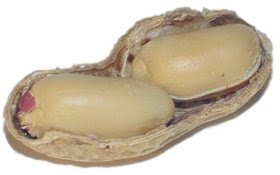 Hearts & Minds Peanut Butter is made with olive oil and omega-3. Wondering how it would taste?? Click here for your free sample of it!!! I had to make a run to Old Navy this morning to make an exchange...trying to beat the after Christmas return lines, if you know what I mean....LOL LOL While I was there I browsed around and noticed that all Baby and Toddler Clearance was an additional 50% off the already marked clearance prices!! I ended up picking up 2 pairs of jeans for Little Miss for just $5.99 a pair!! Unfortunately, Little Man could also use a few new pair of jeans....but he is in the Boys Department and the 50% off does not work in that department!! They also had lots and lots of hat & glove sets...baby/toddler sizes, 2 for $6.50!! You must buy 2 to get this deal. They are regularly $10.50 each!! So an amazing deal!! They are warm fleece...so nice and soft too!! Lots of regular priced items throughout the store were 60% off too!! The kiddies were not in the mood to shop...so I was in-and-out quickly. May want to check your local Old Navy if you are out and about tonight or tomorrow, as these great deals look to be in store only!! As Christmas is fast approaching, perhaps you will be joining in singing a few Christmas tunes with the family after a delicious dinner?? Maybe caroling around the neighborhood? Now is the time to brush up on your holiday song lyrics!! O Christmas Tree, Silent Night, Joy to the World, Deck the Halls.....and many, many more Christmas songs can all be found here. -2- Crest 4.2 oz. Pro Health Toothpaste........$2.99 each **I used (2) $1.00/1 coupons from the December P&G inserts to make them just $1.99 each. Then they are printing $2.00 Extra Bucks for each tube this week(all week long). So Free toothpaste, I'll take it!! -2- Hot Wheels Cars.......they are Buy 1 Get 1 Free this week. So I paid $1.49 for the 2 of them!! Great to put on the top of a present for a car fan!! Or even a great stocking stuffer!! -1- Bag of Hershey's Kisses.......$2.00. Needed these for Peanut Putter Blossom cookies I made tonight. So my total was $7.83...I used 7.00 in Extra Bucks from 2 weeks ago, and paid 83 cents OOP. Plus, I earned $4.00 back in Extra Bucks for the Crest. Ran to the mall yesterday and popped into KB Toys...I noticed all the giant signs.....40% off whole store at the entrance of the store. It just drew me in...What can I say, I am a stickler for good deals!! LOL LOL I was already done my Christmas shopping, but had to check out to see if any deals were to be had. Perhaps a few items for the gift tote?? The store was jam packed with merchandise...Oh and customers too!! I checked on a couple of prices on items that I had previously purchased over the past few weeks. I was pleasantly surprised that the prices were a little cheaper than regular retail prices. Surprising for a Store-Closing sale......all I have to say is Linen's N Things with regards to finding no deals at a store closing sale. I did notice that KB did up the prices on some of their items, on many items they placed a new higher price sticker over the old lower priced sticker. Not significantly higher...in some instances a buck, more expensive items...maybe a couple bucks. Just modest amounts...nothing out of the water!! Even with the mark-up....when you take into account the 40% discount it is still a bit cheaper than the regular prices at Walmart. I found a few items I picked up. One item I did get was a Power Ranger for just $9.39...as apposed to the $12.99 that I paid at Walmart a few weeks back. Yes the signs say 40% off....but it's more like 20% off really, after you take in to accont the slight price mark up. If you are in the vicinity of a KB Toys over the next few days, I would pop in to see what you can find. It's definitely not like most store closings...where they mark items up so high that they were actually cheaper before the Going Out of Business Sale!! Also know that ALL SALES ARE FINAL!! So shop knowing it is yours for good!! How does an 8-Day Alaska Rail/Sea/Air Adventure for 4 sound? Sorry, I'm back....just dreaming for a minute. Enter the Prescribe the Nation Sweeps here for your chance to win. 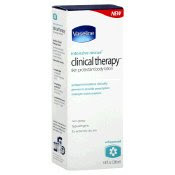 Plus, if you are one of the first 45,000 to enter you will also receive 2 free samples of Vaseline Clinical Therapy Lotion. Remember to Enter By Tonight!! Still Have Gift Cards to Buy Yet?? Buy 1 Get 1 Free....For the Kids! Need Somewhere to Store All Those Toys?? Purchasing Perfume This Holiday Season?? Have a Hot Wheels Fan?? Are You Looking 4 Gifts that Give Back? ?